This entry was posted in 瞎折腾 and tagged Mac, QQ on January 29, 2008 by raptium. This entry was posted in 唠唠叨叨 and tagged Recruitment talk on January 25, 2008 by raptium. 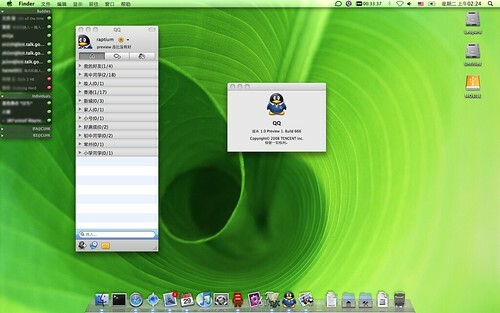 This entry was posted in 瞎折腾 and tagged apple, Mac, Macworld on January 17, 2008 by raptium. This entry was posted in Life is Short and tagged gpa on January 9, 2008 by raptium. This entry was posted in 唠唠叨叨 on January 6, 2008 by raptium.